With Education Grants, students and faculty in computer science can receive free credits to use Google Cloud Platform tools. 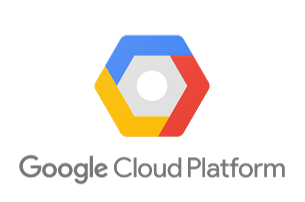 Computer science faculty and students can now obtain free credits to use Google Cloud Platform products, thanks to new Google Cloud Platform Education Grants. Beginning today, anyone who teaches computer science or related subjects can apply for free credits. Once approved, credits can be used anytime throughout the upcoming academic year. In addition to credits, the program provides a set of resources to help implement Cloud Platform products effectively in curricula. Cloud Machine Learning, a platform that allows users to build machine learning models on any type or size data. Students in computer science can use these tools to create innovative projects with real world applications. An undergraduate from Duke University, for example, used Google App Engine to create Cloud4Cancer, an artificial neural network where medical professionals can upload benign and malignant breast cancer tumors. Cloud4Cancer has learned to distinguish between healthy and unhealthy tissue, serving as a useful tool for medical professionals. Additionally, professors familiarize their students with Cloud Platform to give them a competitive advantage in the job market. Computer science faculty and students, in the United States only for the time being, can apply for the grants on the Google Cloud Platform site. A free-trial program is also open for submissions.